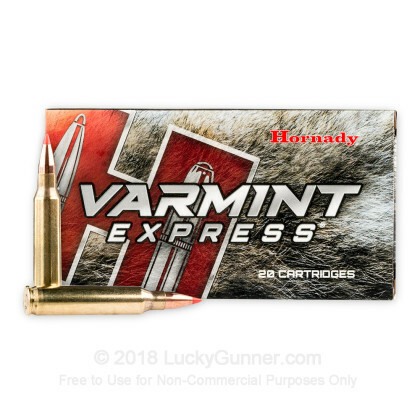 Look no further than Hornady's Varmint Express 223 Remington round that uses top of the line V-MAX bullets. 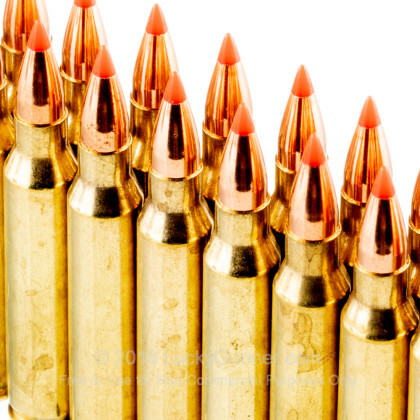 These bullets are manufactured with Hornady's philosophy of "Ten bullets through one hole". V-MAX bullets feature a premium polymer tip and streamlined design that yield ultra flat trajectories. The key is its sharp polymer tip which provides a high ballistic coefficient as well as reduced wind drift. 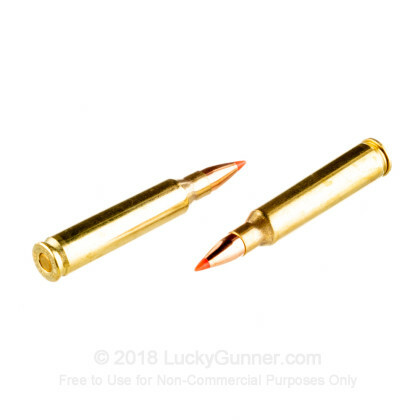 The tip also initiates expansion of the bullet even at long ranges when the bullet has reached a lower velocity providing explosive impact. 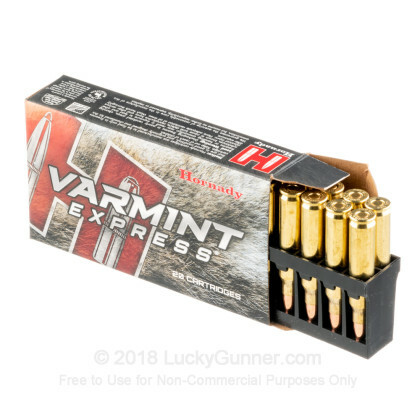 This round is perfect for competition or varmint hunting. Shot this from a Rock River Arms Elite Operator . 2 10 shot groups in a .75" hole . 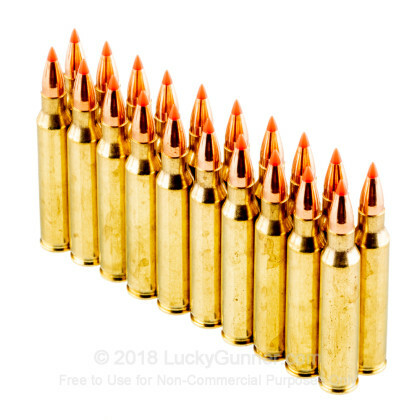 Very hot ammo. 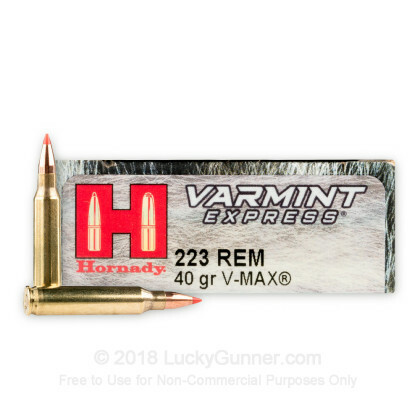 We also have this 223 Rem - 40 Grain V-Max - Hornady Varmint Express - 200 Rounds ammo in stock in a bigger quantity.